Want it by Thursday 25th April? Order within 16 hours, 56 minutes and choose Royal Mail Tracked 24 Hour at checkout. 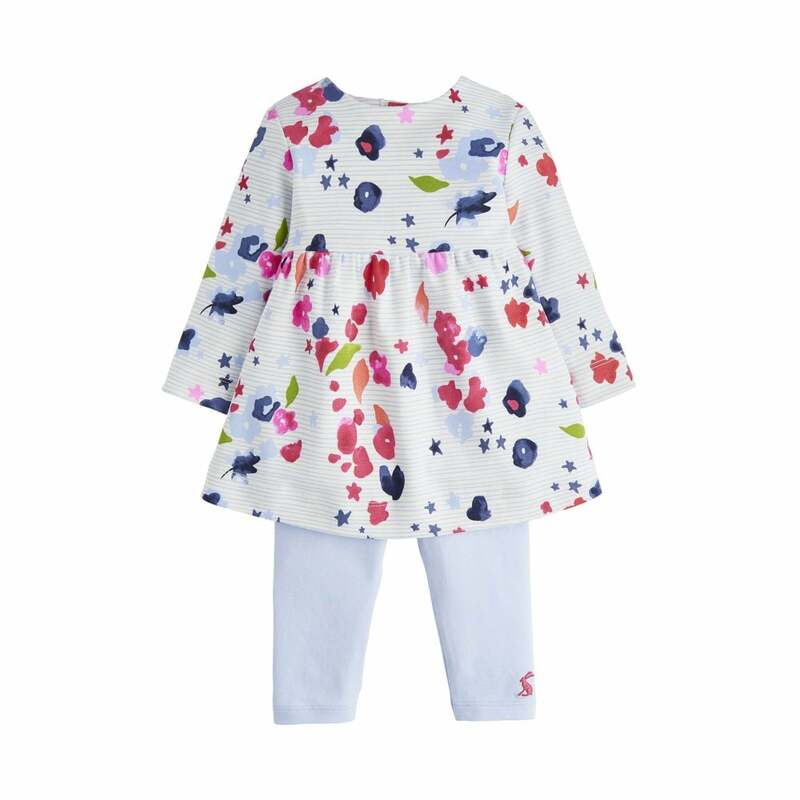 The perfect dress and legging combination for your little angel! This Adorable dress set is perfect for any occasion! Available in three prints its hard to choose your favourite! A super soft and comfy empire line dress and leggings in gorgeous Joules prints.